How to find our promotional code on Facebook? 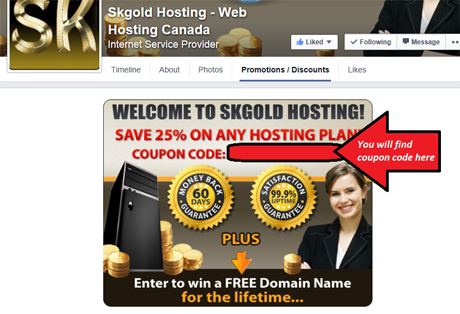 You can get a 25% discount for a new hosting account if you use our Facebook promotional code. You can easily find this code using the directions below. Log into your Facebook account https://www.facebook.com/login . 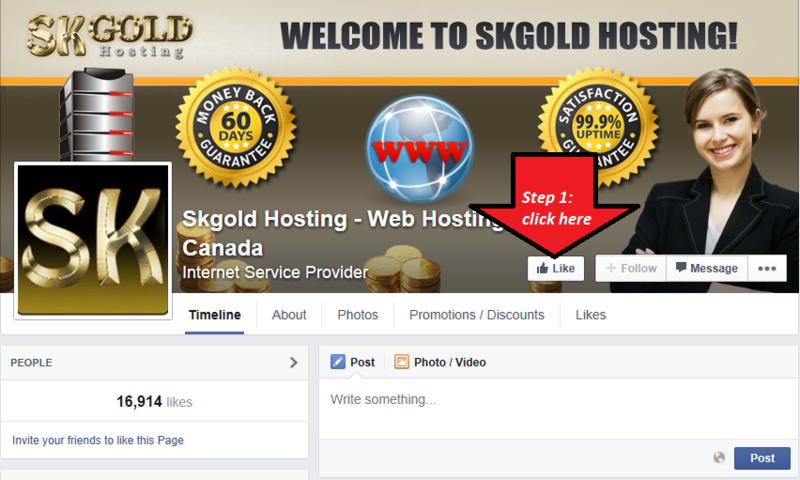 Go to the SKGOLD Facebook Page. You can either search for "SKGOLD Hosting" through Facebook's search option or use this direct URL https://www.facebook.com/Skgold.Hosting.Canada . 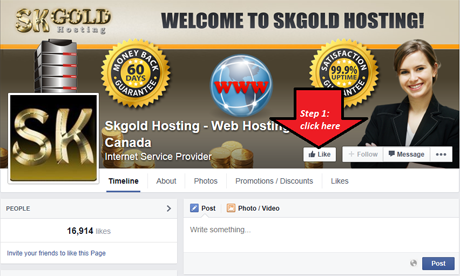 Once you arrive to our Facebook Page, click the Like button. Then click the Promotions / Discounts tab. Once you open the Promotions / Discounts tab, you'll discover our promotional code. You can not see our promotional code if you ignore step #3 listed above and don't click the "like" button. You must "like" us prior to visiting the "Promotions / Discounts" tab. 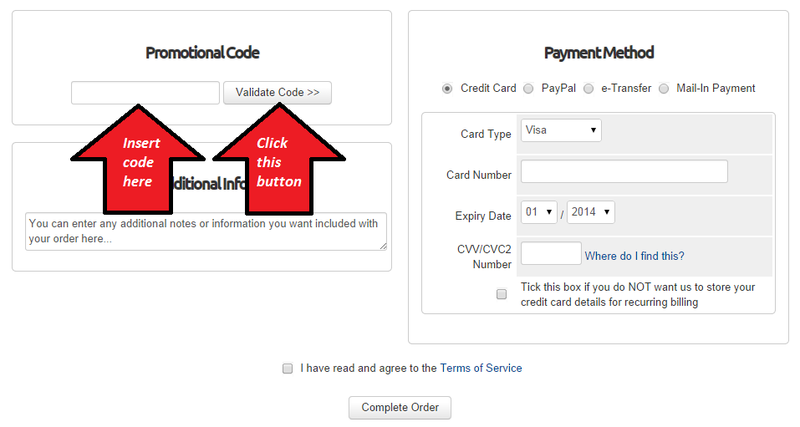 Once you find the promotional code, simply input it into the "Promotional Code" field during the checkout process and you'll get a 25% discount. 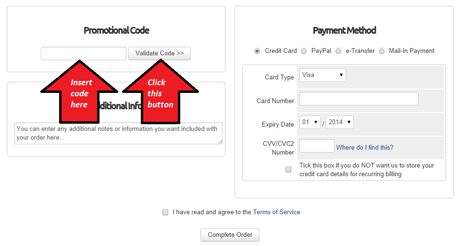 If you need our assistance, please contact us by opening a support ticket via your client area.